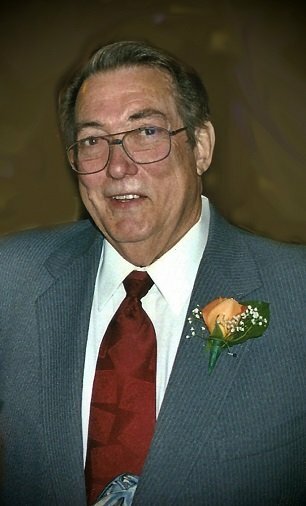 Walton Lee Andrews, 75, went home to be with the Lord on Sunday. He was born in Wake county to the late Dewitt Walton & Jewel Williams Andrews. He was a maintenance supervisor for many years. Mr. Andrews was a true gentleman who was charming, giving, & made you smile when you were with him. Lee loved to dance & was good at it and he had a great sense of humor & a twinkle in his eyes. He was a fine storyteller. He was preceded in death by his wife, Nancy Andrews, son, Patrick Andrews, the mother of his children, Gwen Souther, & sister, Linda Tant. Funeral service 11 am, Thursday, Strickland Funeral Home Chapel with burial in Greenmount Cemetery. He is survived by his children, Stephen Andrews (Tami), Jonathan Andrews, both of Wendell, Shannon Black (Steve) of Tennessee, grandchildren, Megan Olsen (Craig), Heather Williams (Zack), Adam Andrews, Sheridan McHale (Casey), Anna Claire Black, great grandchildren, Collin Olsen, Olivia Williams, Scarlett Olsen, Jackson Williams, & Quincy McHale. “Tell everybody I love them and I’ll see them when I can” Walton Lee Andrews.